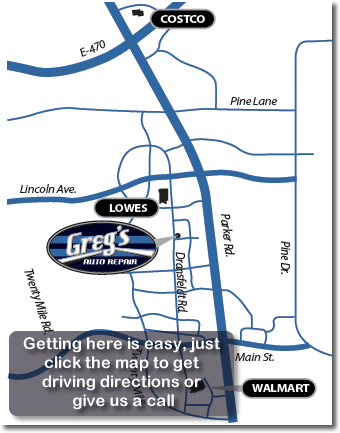 Greg’s Auto Repair is a local, family owned and operated, small business delivering quality and reliable automotive services. 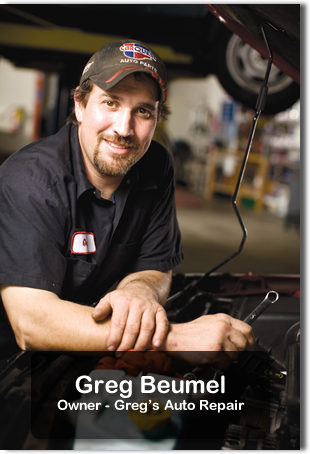 Owner, Greg Beumel, has been one of Parker’s most trusted neighborhood mechanics for years. Greg has over 23 years experience repairing all types of auto related problems on all makes and models of vehicles. Greg is a graduate of Triton College, the GM ASEP Program, and has been ASE (Automotive Service Excellence) certified since the 1980’s. He understands the major investment that his customers have made in their cars and that’s why he cares for each customer’s vehicle as if it were his own. He prides himself on running his business with integrity. Greg believes in educating his customers on all estimates/repairs before any work is done.